Description: From 8 inches to2 feet tall. 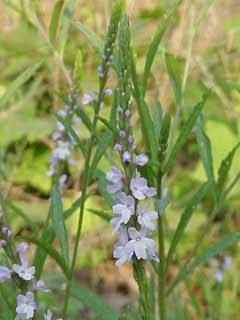 I believe this is the narrow leaf vervain note leavea below. Leaves are narrow and lanceolate which taper to a stalk less base. 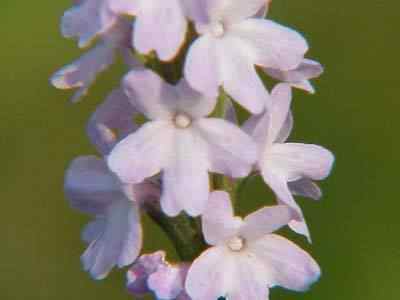 Flowers are small 5 petaled lavender to light blue in color and bloom a few at a time, working there way up the flower spike.